The Imagination Pavilion in Epcot® is like a love letter to an older era of Disney films (actually, two older eras), especially Journey Into Imagination With Figment. 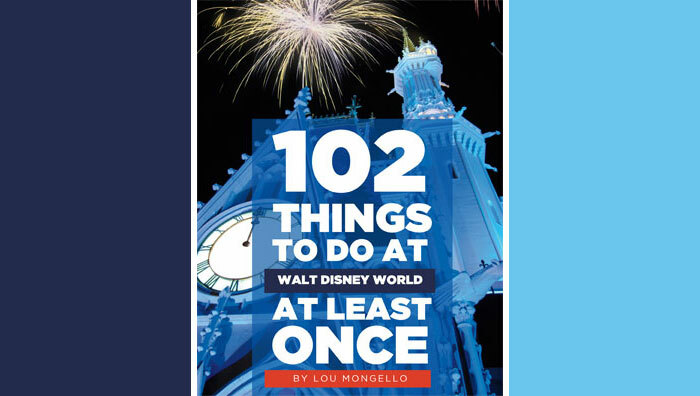 Our journey starts in the queue of the ride, and the first reference is pretty easy to find. 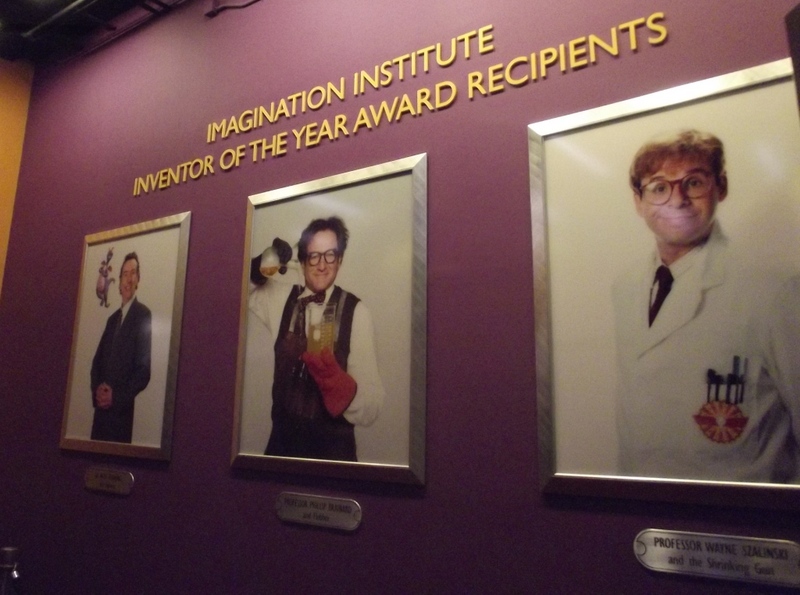 As we enter the lobby of the Imagination Institute there is, on display, is a small yellow robot. Her name is Weebo, and she was the assistant to Professor Phillip Brainard in the 1997 movie, Flubber, which was a remake of the 1961 movie, The Absent-Minded Professor. (Bonus fact: In the movie, Weebo is voiced by the little mermaid herself, Jodi Benson). Turning the corner, we see three large portraits on the wall commemorating three inventors of the year. The first is Wayne Szalinski, connecting this ride not only to the now extinct, Honey, I Shrunk the Audience attraction but also to the trilogy of movies as well. The second portrait is that of Professor Brainard (played by Robin Williams) continuing the connection to Flubber, and the last portrait introduces us to Dr. Nigel Channing and Figment. Moving through the queue, we pass the offices of these three inventors as well as the first of two deans, Eugene Higgins, Dean of Medfield College. Medfield College was the setting for a whole group of movies in the 60’s and 70’s, including The Computer Wore Tennis Shoes and The Absent-Minded Professor. A lot of people miss the original attraction, but I really enjoy this incarnation because of these inside jokes. The references go back to movies my parents watched growing up and through to the movies that I watched as a kid. There is something here for everyone. Thanks! A great read! I’ll definitely stop to smell the roses next time we’re in this queue! I love these doors, I always listen and look at everything. People usually rush past all that stuff so I get a full view! Definitely one of the overlooked attractions at WDW! 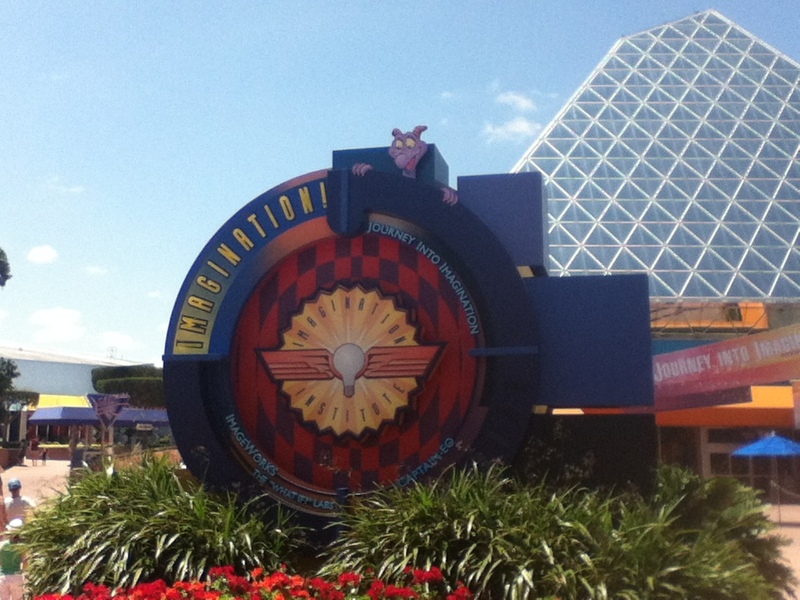 I wish Figment was the Epcot mascot as he was once…. I love this area…always takes me back to my childhood. 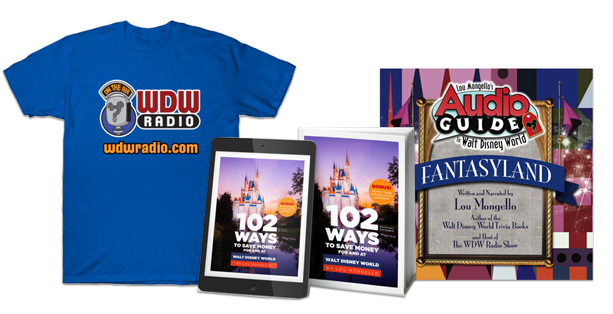 Plus, it’s usually a short line so we love to visit it several times during the trip. I wish it would spray rose scent some time, he he! It seems like since the fastpass + system has been implemented the standby lines are much longer and what was an easy walk on has become a traditional long line wait.